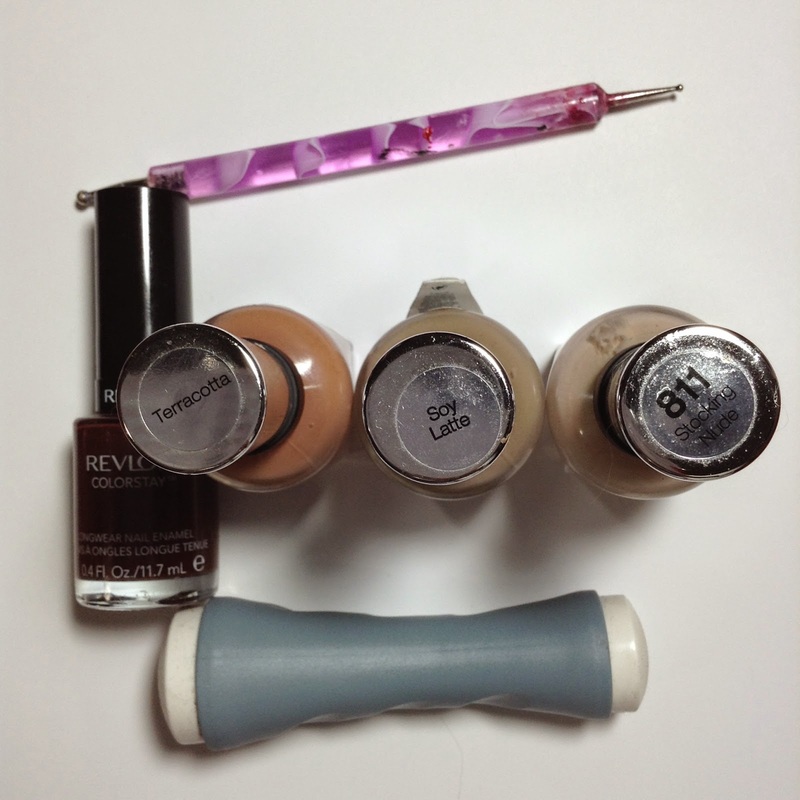 Todays post is a simple view on my nails of the day. 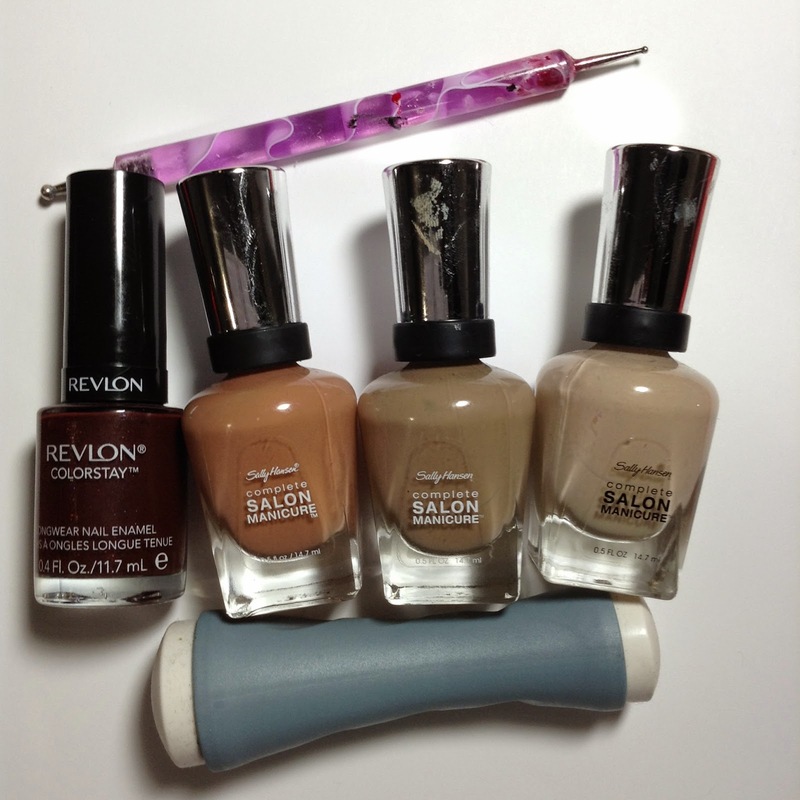 I'm really into warms and browns and nudes right now, hence the manicures. I specifically wanted to blog these nails because of the stamping. I recently received a new stamper aka marshmallow squishy stamper in the nail polish world. This stamper has changed IT ALL FOR ME. Seriously. You may have heard people religiously loving this stamper by that brand or hating stamping all together. I used to be one of those people who loathed stamping cause i knew it wasnt going to come out right. Then i bought this squishy stamper, which was recommended by my friend Charity. She IS THE BEST STAMPER EVER!! So i took her advice and bought it. Truth be told, i love this stamper, and i acutally look forward to stamping now. I think to myself, "what stamping plate do i want to use" while smiling all the way. I'm no longer hesitant, scared or just turned off by stamping. Its exciting now. A new avenue of the nail polish world has opened up for me. 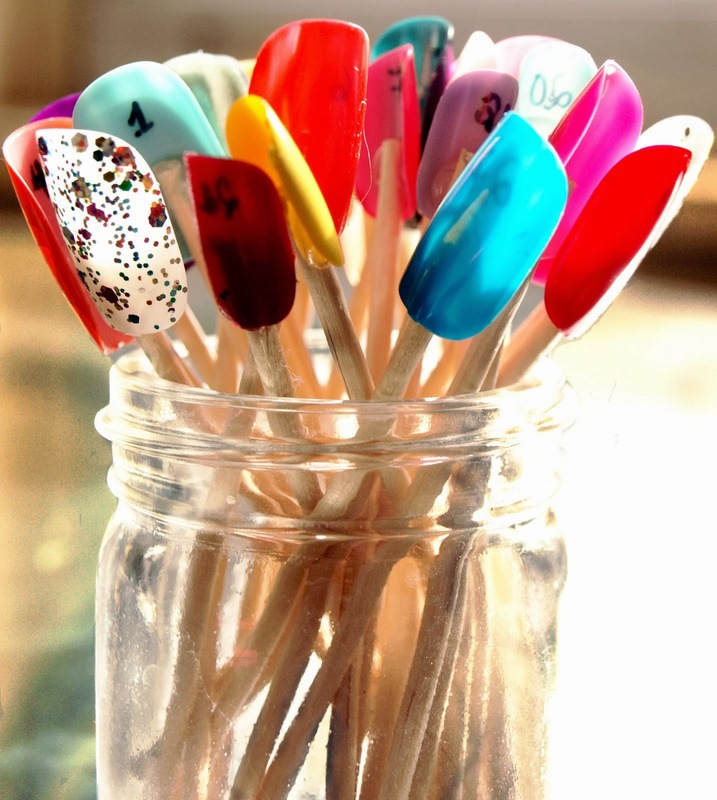 YOU MUST GET ONE, IF ITS THE LAST NAIL SUPPLY ITEM YOU EVER GET! let me know and i shall provide it.